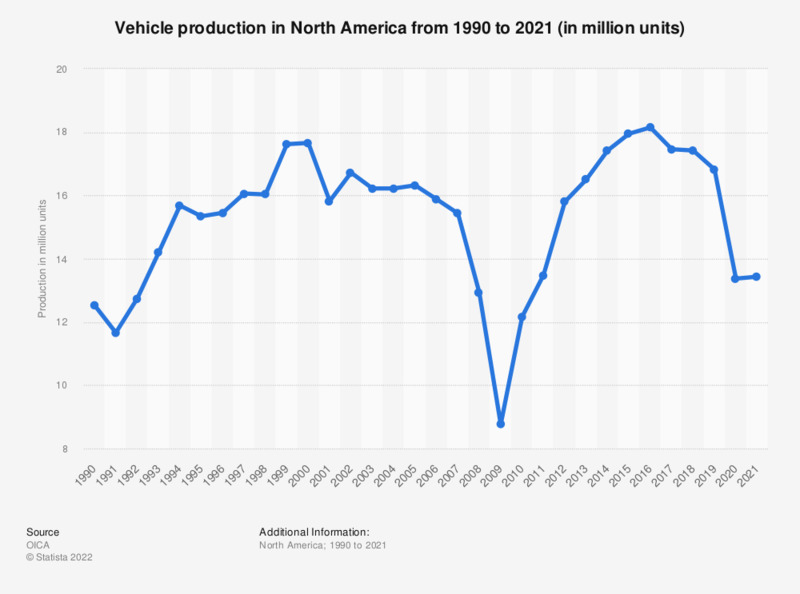 This statistic represents the North American vehicle production from 1990 to 2018. In 2018, approximately 17.44 million cars and trucks were produced throughout North America, compared with 18.2 million motor vehicles in 2016. The figures for 1990 through 2015 are taken from previous editions. Everything On "Automotive industry in the U.S." in One Document: Edited and Divided into Handy Chapters. Including Detailed References.